unlike other lines, quotable appeals to an incredibly diverse demographic. 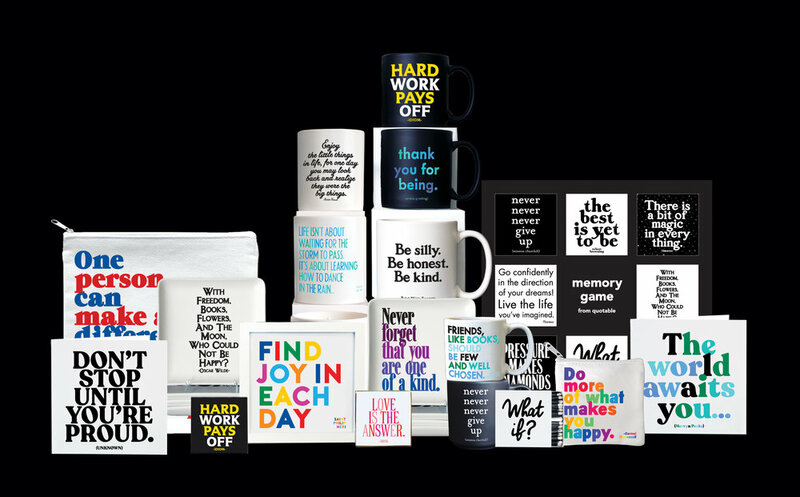 quotable products transcend the traditional boundaries of age, gender, and culture by appealing to people who expect more out of a greeting card and gift item: people who want to give and receive something meaningful. our products can be found in a variety of shops, from general gift and book stores to food markets and cafes, and so many places in between. use our store locator to find a store near you!